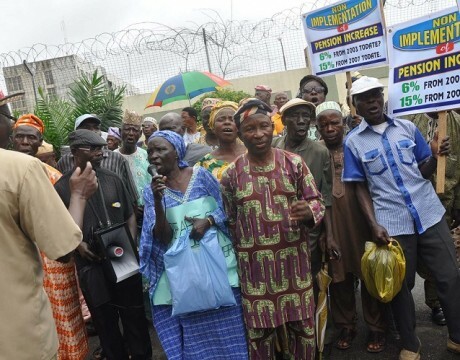 OWERRI—IMO State chapter of Nigeria Union of Pensioners, NUP, said yesterday, that its members were owed over N17 billion arrears of pensions and gratuity by the state government as at May 2015. According to the state secretary of the union, Mr. Livinus Asiegbu, the debts are mainly for retired primary school teachers and staff of tertiary institutions in the state. “Primary school pensioners are owed 18 months pension, Alvan Ikoku College of Education pensioners are owed N388 million, while their counterpart from Imo State Polytechnic, Umuagwo are owed almost the same amount. “Pensioners who retired under the civil service are owed five months arrears, Local Government retirees are owed six months arrears,” Asiegbu said. He explained that what pensioners were currently asking for was monthly pension and not arrears of gratuity. According to him, so many retirees in Imo State have not received their gratuity for more than 15 years. He lamented that what pensioners were craving for now was monthly pension to enable them eat and stay alive. Describing the debt owed pensioners in Imo State as outrageous, Asiegbu said the pensioners were agitated to come out to the streets of Owerri to demonstrate but were restrained by the leadership of the union. “The leadership of NUP in Imo State has been dissuading the aggrieved pensioners from coming out to protest because most of them are fragile and sick, but they keep saying it was better for them to demonstrate and face whatever consequences. “But we are being cautious in bringing them out because of the obvious danger of some of them fainting and dying on the road in the process of the demonstration,” the union scribe said. Asiegbu lamented that NUP leadership had sent an SOS letter to Governor Rochas Okorocha on the matter but regretted that no serious attention had been given to the matter.